So, I’ve mentioned it a few times of late, but I went off applying foundation with a brush quite some time ago. I found it was just looking too heavy, particularly through the Spring and Summer months and just more coverage than I needed while my skin is in fairly good condition. However, I found that the By Terry Terrybly Densiliss foundation that I reviewed recently applied much better with a brush. I’m getting back into the swing of buffing on my base now, so decided it was high time I add a new one to my collection. 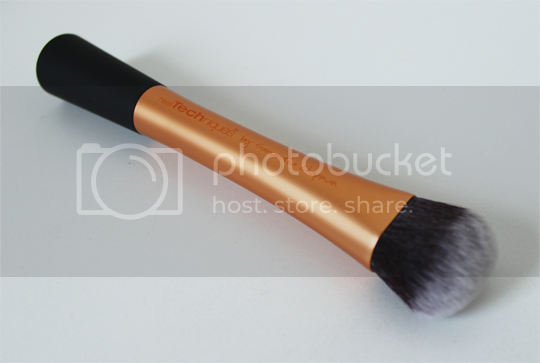 With a recent Escentual order, along came the Real Techniques Expert Face Brush! Now, everyone loves the Real Techniques Buffing Brush but annoyingly, it’s still only available as part of the Core Collection set. The Expert Face Brush has been touted as similar to the beloved Buffing Brush, with the added bonus that it’s available separately. You can see that in comparison to my very well loved Buffing Brush (which I totally couldn’t be bothered to wash and wait to dry prior to taking these photos… sorry!) 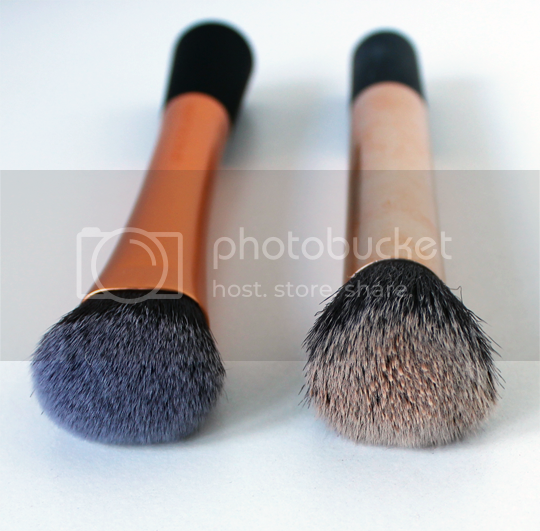 that the Expert Face Brush has a slightly flatter shape and more densely packed bristles, but the effect they achieve when used to buff a base product into the skin is very similar indeed. The Buffing Brush has been through dozens and dozens of washes in its lifetime and is still holding its shape really well except for a few inoffensive bristles around the edges, and I expect the Expert Face Brush will show the same resilience. So, if you (along with me and the rest of the world) love the Buffing Brush and have thought about buying a backup, but were put off by the thought of having to buy the whole Core Collection again, I definitely recommend the Real Techniques Expert Face Brush. If you’ve never tried Real Techniques before, you need to fix that right now! I’d always recommend the Core Collection as an introduction to Sam Chapman’s brand, but the Expert Face Brush is a great way to top up an existing collection. 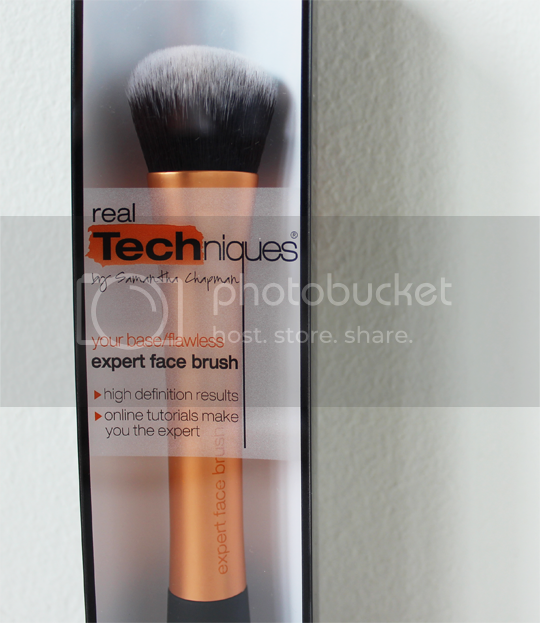 The Real Techniques Expert Face Brush costs a bargainous £11.99 and is available all over the place – Boots, Superdrug, Escentual, Love Makeup, so and and so forth! You won’t have to look far to find it, I promise. I much prefer this to the Buffing Brush actually – I like that it’s denser. Bargain brush!